South Korean pop culture is spreading in North Korea amid a surge in mobile phone use, according to Unification Minister Cho Myoung-gyon. “BTS-related content is understood to be circulating among young people in North Korea,” the minister said Monday during a plenary session of the National Assembly’s Special Committee on Budget and Accounts. Cho’s remark came as Rep. Yoon Hu-duk of the ruling Democratic Party asked him to corroborate the number of mobile phone subscriptions in North Korea, which Cho confirmed as around 6 million, with each device priced at $100 to $200. The proliferation of mobile phone use comes as a surprise in the rigidly censored state, especially considering the average monthly income in the North which stands at around $80. “Internet is not open to access and formed rather like a local network (in North Korea.) Despite the restrictive access, it is understood that (BTS-related cultural content) is circulating among North Korean teens,” Cho said. The minister went on to explain that the wireless mobile communications technology in North Korea is considered the equivalent of a third-generation network, 3G, or below. 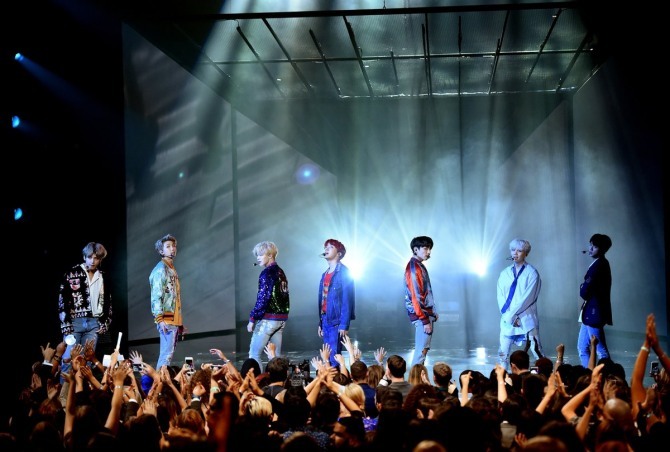 Related article: Will BTS perform in Pyongyang?